Belfast Business Park is a new 22ha integrated industrial development on the former site of the Canterbury freezing Works. This represents a unique opportunity to secure industrial zoned land in the northern corridor of Christchurch. 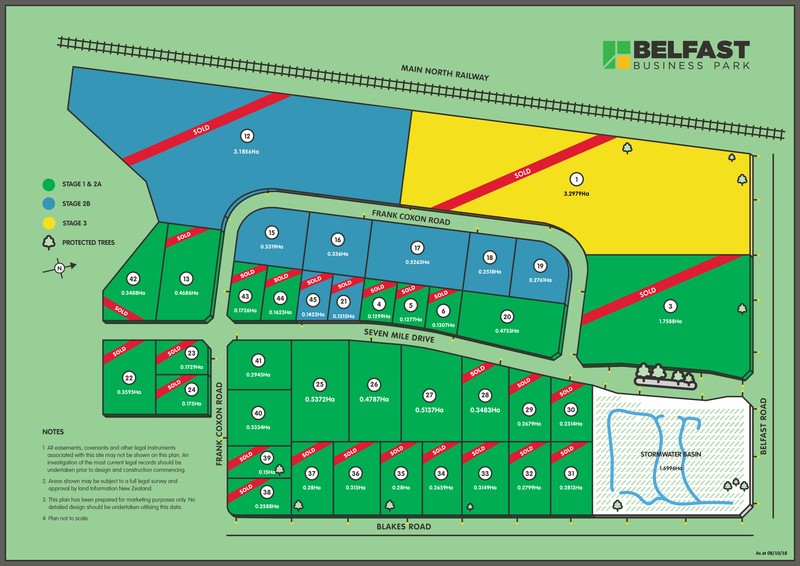 Belfast Business Park masterplan allows a total of 42 lots ranging in size from approximately 1300sqm to 24,600sqm. Strategically positioned Belfast Business Park will cater for a mix of business needs from those expanding due to the Christchurch Rebuild to others looking to simply relocate. Belfast Business Park has a variety of flexible options and can combine or alter sites to meet specific requirements or offer a custom built turnkey solution. For further details, please contact our Christchurch office on 03 365 3756.